The temple is inside the famous Gwalior fort; one of the oldest surviving fort complex in India. The temple dates back to 9nth Century AD. It�s a rock cut temple built on a monolithic stone. It is located on the Eastern road to the fort. The fort complex also has two other note -worthy temples: The Sas-Bahu temple and Teli-ka- Mandir. The Sas-Bahu temple is also known �mother �in �law and daughter-in-law temple�. These are two temples adjacent to each other; both dedicated to Lord Vishnu or Padmanabha. Contrary to the popular belief, it has nothing to do with mother and daughter-in-laws: it is actually a corruption of the word Shastra Bahu (another name of Lord Vishnu). Imaginative local people corrupted it to sas-bahu, which in local language means� mother and daughter in law�!! The Teli-ka-Mandir is the highest and probably the oldest monument in the fort. Literally, it can be translated as �oil presser�s temple� or �oil man�s temple�. The temple is actually dedicated to Lord Shiva. Here again, the temple has no connection with �oil� as its name suggests. �Teli� in local language means bell. The devotees used to install a bell on a pillar in the temple on fulfilling their desire. Slowly, the word �theli� seems to have corrupted to� thel�, which means oil, and the temple became �teli-ka-Mandir�. The templa tank, known as Suraj Kund, adjacent to the teli-ka-temple is said to have healing property. Legend is that a Saint called Gwalipa (also called �Galava�) cured the leprosy of King Suraj Pal- the founder of the Gwalior fort, by using the water of this Tank. The city derived its name from the Saint Gwalipa. 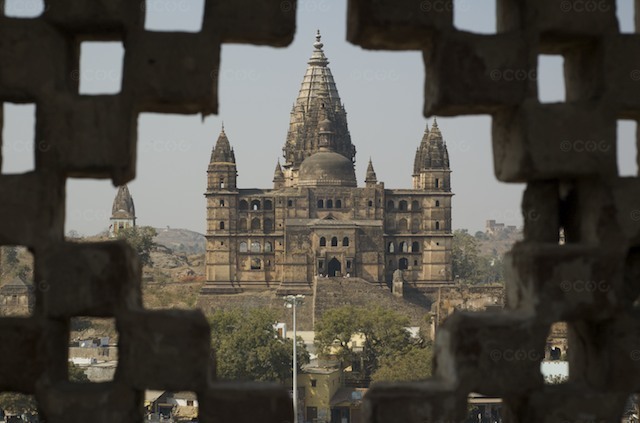 Gwalior is about 320kilometers from Delhi and about 423 kilometers from Bhopal.